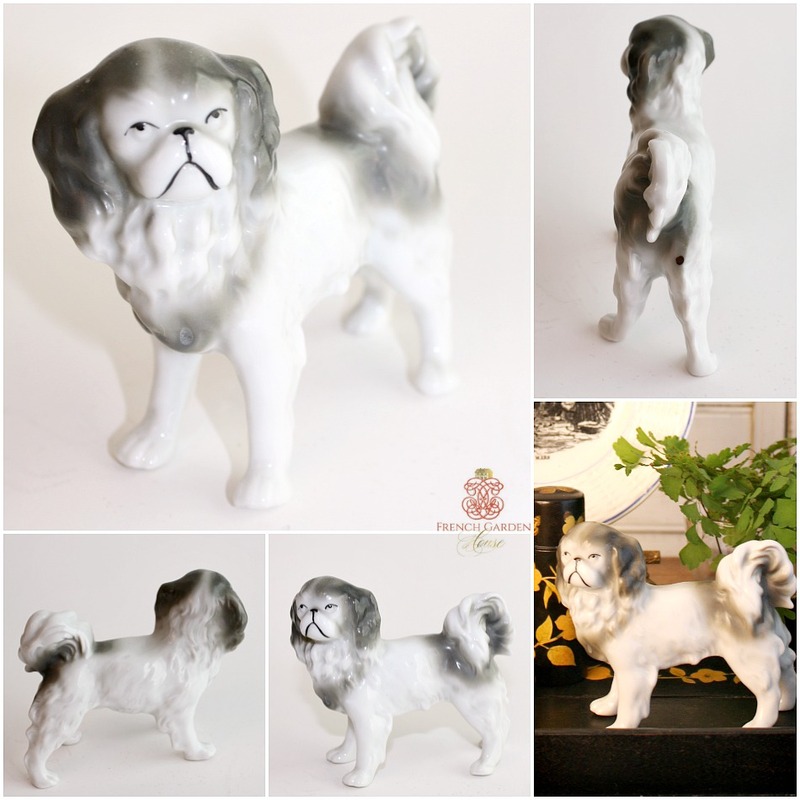 An ancient breed, the elegant Pekingese originated in China. 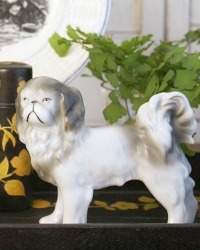 Also called Lion Dogs, because they resemble the Chinese guardian lions, they were favored by royalty of the Imperial court and bred to be their cherished companions. 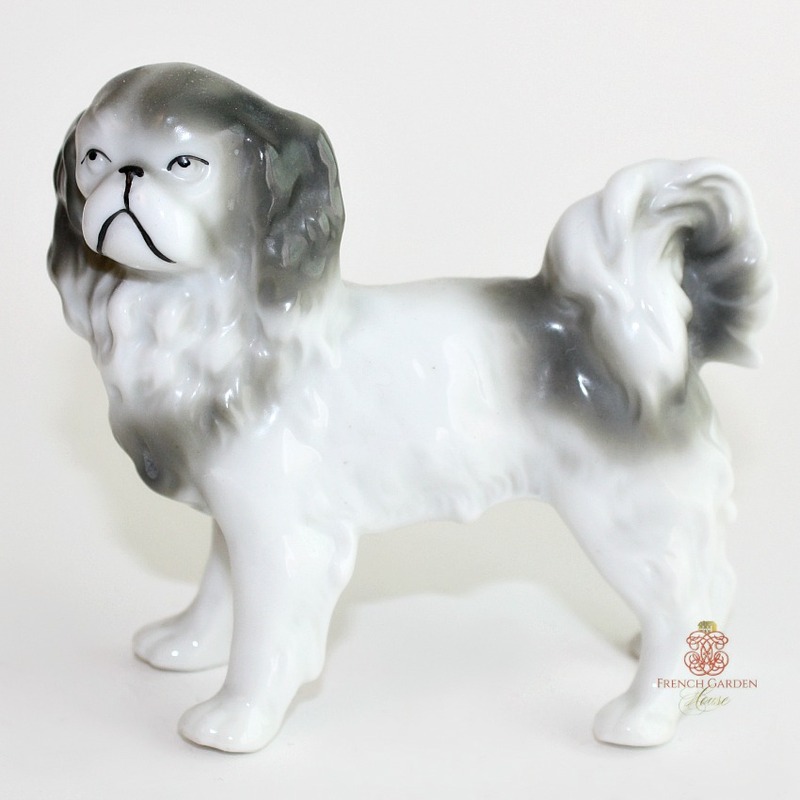 This porcelain Pekingese Dog Figurine certainly has regal bearing, doesn't he? 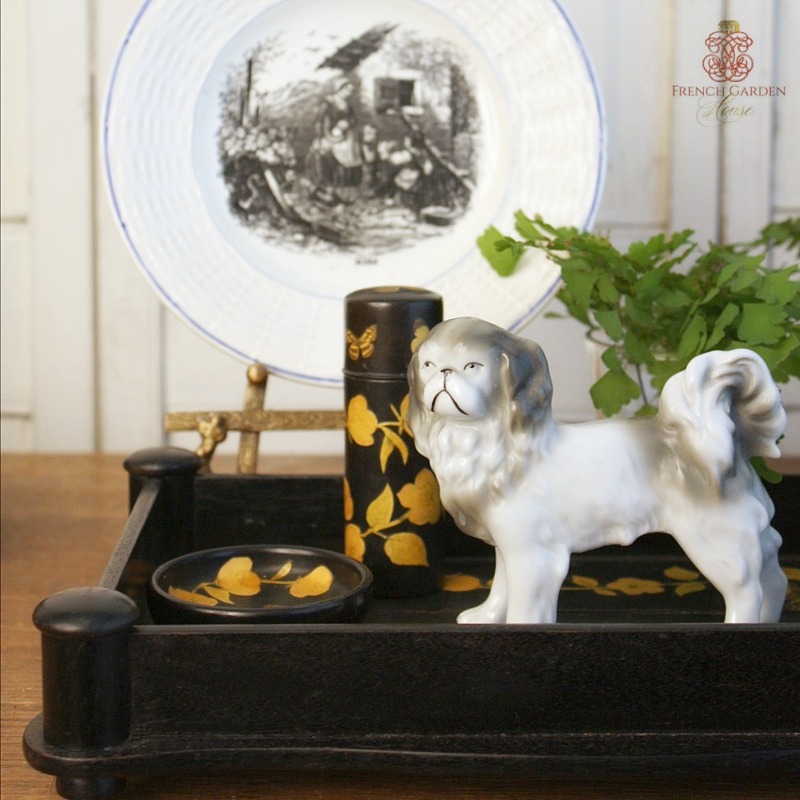 Made of white porcelain with grey and black hand painting. He has such a dignified pose, with his lavish tail gracefully curled over his back. He is older, there is one small glaze pop on his hind leg, indicative of earlier figures. Impressed mark 9918 underneath. Measures 4-1/2" x 1-3/4" x 4-1/4"h.